Your child’s visual development is a critical aspect of their youth and is seen as a vital building block towards their social and educational advancement. At an early age young children learn the world through their eyes and as they accelerate through their early years and enter education their vision becomes a paramount feature of how they learn – with it being estimated that around 80% of primary education is visually taught. Unlike an adult, a child’s immature visual system is prone to a series of developmental hazards which, if untreated, can result in permanent defects such as strabismus (squint eye) or amblyopia (lazy eye). 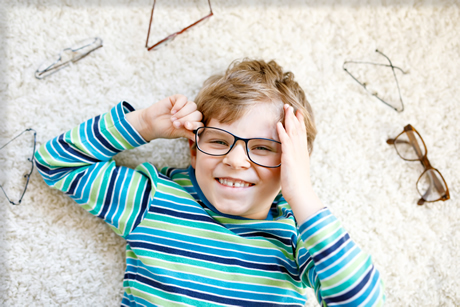 Where such conditions are present the other eye typically overcompensates for the defect and as such, the defective eye never corrects itself and remains stagnant in its development and with that in mind, it’s no shock that here at Knox we treat your child’s eyesight as importantly as you do. We actively encourage routine eye care checks for children and our experience over the years has allowed our staff to gain an excellent understanding of the process from a child’s perspective and how to make it a more interactive, enjoyable experience for everyone involved in this vital process.